The Condor Outdoor Hydration Carrier is designed to attach to a vest with the use of MOLLE webbing and holds a 2.5 liter hydration bladder. 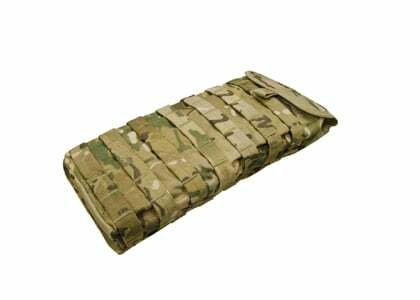 The exterior of the carrier is covered with MOLLE webbing for the addition of pouches for utility, magazines, radio, etc. Also, along the top of the carrier is a hook and loop panel for patches or a ID placard. A hydration carrier is a great convenient alternative to carrying a canteen or water bottle. this is a great carrier. i have a camelbak and it goes everywhere i go so i was surprised when this performed on the same level. i am pretty skeptical of other brands and hydration carriers but this is awesome. i put my 3 liter camelbak bladder in it to if it would hold and it did. 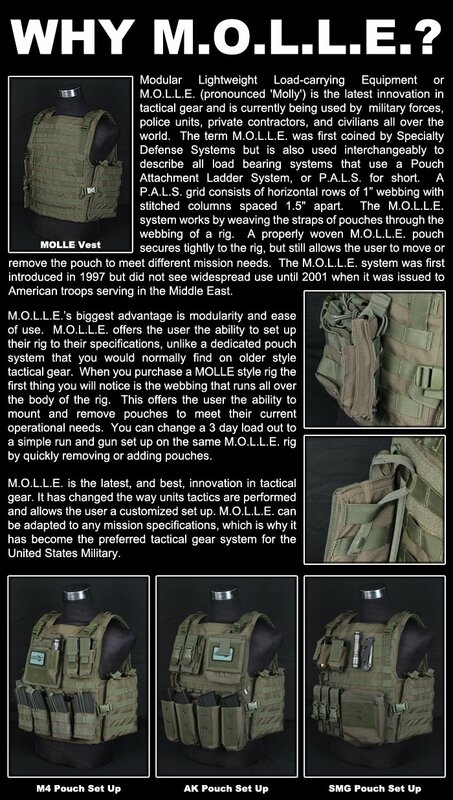 easily attaches to vests' and molle gear. Full multicam pattern facing on your back is hard to do with most gear providers. This one carries my water bladder without drawing straight brown lines on my back. The mounting system on it mated perfectly with my tactical tailor X-Harness, and the 2 hook and loop straps on the interior fit my water bladder that I got from tactical tailor perfectly. built well, full multicam pattern matches all my gear perfecty and molle on the whole thing! Does this come with a bladder, the other hydro carriers, come with one, this one says it doesnt but i wanted to make sure. does it hold a three liter bladder. It should be able to fit a 3 Liter. .5 Liters more is not much.